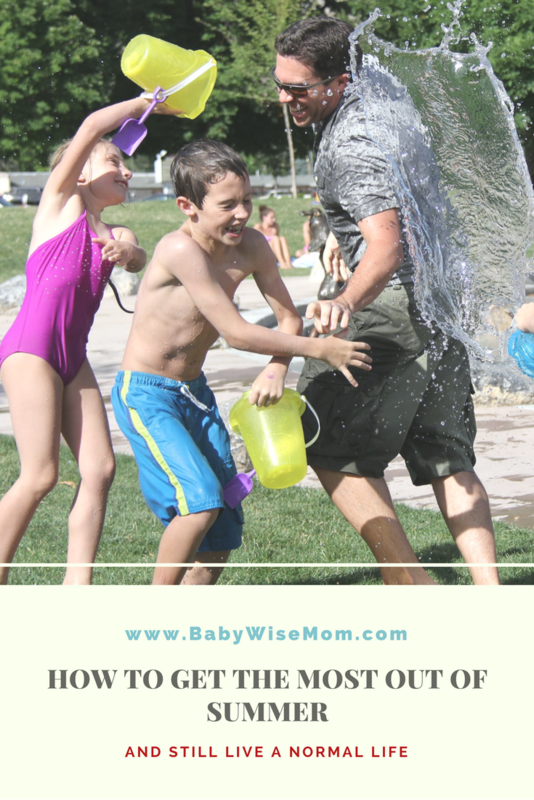 I am sure you have seen the posts floating around Facebook and Pinterest about how limited your time is with your children (only 18 summers until they leave you!) and the need to make every moment count. I don’t know about you, but that thought gets overwhelming. Talk about pressure! The intentions are pure, and somewhere around age 10/11, parents all realize that time is fleeting with or without the help of social media. I have heard it mentioned, without fear or panic, many times among parenting peers local to me over the last couple of years. The reason for these reminders about our limited time, the pure intentions behind it, is to help us realize we don’t have forever. Time is running out. We must carpe diem and live without regret. This is something we already know, so it basically serves to feed our bubbling fear. We must do everything every child could ever want because time is limited! The reality, however, is that we all have very real limitations. It sounds nice to make a grand bucket list and systematically check them off, however, real life doesn’t lend itself to that. Here are some of our limitations. Money: A huge limit to any bucket list is money. Taking a long vacation to somewhere exciting every summer sounds fantastic. Is it affordable? Not for most. Time: Beyond the money these bucket lists require, do you have time? And not just time you can take off for a vacation, but what about time to spend every minute of every day constructing amazing memories. Do you also need to clean, cook, garden, shower, and sleep? How about sit for a minute and breath? What about reading your scriptures? Leave time for the truly essential. Stamina: Bucket lists require a lot of your energy, and also a lot of energy from your children. How much can they give? Are you leaving time for them to do nothing? They need time to be bored. Responsibilities: Our children don’t just need to play. They need to learn to work. They need to have time to read and time to play with friends. Schedule: eating and sleeping are just as important in summer months as the rest of the year. We take a bigger, fun vacation each year as a family at this point, but we didn’t start that until Brayden was in fourth grade. Before that, we did more simple things closer to home. We did a lot of camping. None of it would be looked at by the world as grand nor glamorous. The children love it, though, and it worked with our babies. Those are just a few limitations we face. I totally get it. I want to make the most of what time we have together as a little family before Brayden leaves home. I can’t neglect everything else about life in order to do so, however. I have to find and strike a balance. Here are some tips for getting the most out of your summer and still live a normal life. The bucket list idea sounds cheesy, but it is very helpful as a first step toward prioritizing what you want to do over the course of a time period. My husband and I have a list of places we would like to go on family vacations before Brayden moves out. It is a long list of ideas that we re-prioritize once a year. Look, it really isn’t part of the parenting requirements to show our children everything the world has to offer. I am not even sure how that would be possible. There are plenty of things I didn’t see until after I moved out of the house (actually, a lot. Our vacations mostly were trips to see family out of state. I don’t feel bitter about that). Decide what makes sense to you in your family situation. Our list is a list of what makes sense for our family. We have some things on the list simply because they are closer to us and therefore easier/cheaper for us to do. There are some places my husband and I would love to go, but haven’t included because we can do that sometime without the children. There are amazing places our children can go to after they are adults if they so choose. Their lives don’t end when they turn 18. When they move out, their life goes on. They can still go places. I also have a list each major season of what I want us to do. For this summer, I have a list of things I would like us to do so I can be sure we fit our musts in there. You can’t always fit in everything that sounds fun. Make a list and decide what will work and what won’t. What needs to be done each day? What chores do you and your children need to get done each day. What would a normal, summer day look like at your house, without any fun excursions? Know the little, daily things that need to be done. I hate to make this part of “mundane,” but because it isn’t novel, be sure to include simple things like going to the library regularly. Write out a plan of what to do. Get a calendar out and write in pencil what you will do when. Leave down time in there. Leave time for chores and teaching your children to work. Leave time for the kids to wonder what to do with themselves. Leave money in the bank. You don’t have to do it all this summer. You can save some for next summer. Sometimes you make a plan, and once you get going, you realize the plan was a bad one for whatever reason. If your plan isn’t working, change it. Evaluate it each week and assess if it is what you want to stick with the upcoming week. 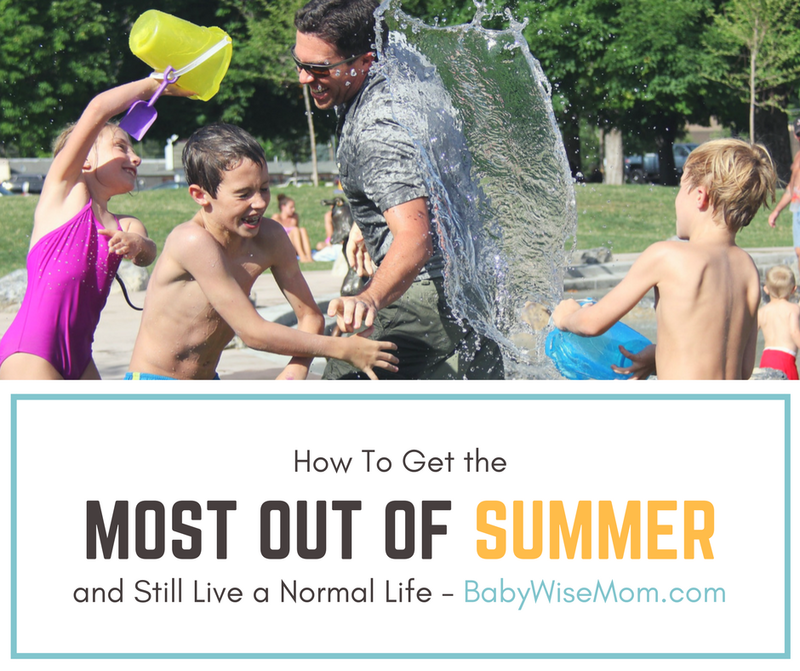 It is okay if your summer is full of sidewalk chalk, backyard sprinklers, and playing catch. Don’t feel guilty for spending time at home with your family. Events don’t have to be expensive or far away from home to be memorable or special. With all of that said, here is how I have gone about planning our upcoming summer. I made a list of the fun stuff we would like to do. A bucket list. I made a daily routine of what we need to do on a normal, boring day. I made a list of anything I want my children to learn over the summer. What new skills do each of them need to learn to do next? Summer is a great time to work on it. I have a calendar where I write down our basic plans. This is not every detail (I use an app called Cozi for that). This is just the big things. As the summer goes along, my husband and I will evaluate each Sunday evening what we want to add to that week. I want there to be downtime. I don’t want each day full. We need to be able to relax. We also need to get some things done around the house. We need money to be available in the bank when summer is all over. We will look at what is planned and decide what we want to add in from our bucket list.